The UC2 use case deals with the roadways that are part of a linear infrastructure and their development throughout the infrastructure lifecycle, from programming, design and construction up to operation, servicing and maintenance. The UC2 working group brought together the key actors involved in the design, construction, operation and maintenance of infrastructures, as well as PLM (Product Lifecycle Management) specialists. plan for monitoring and servicing needs. Structuring roadway data should make it possible to have all the necessary information available so that the following can be known at any time: the level of service offered to users (surface characteristics), the state of the asset and urgency in the event of damage. It is therefore helpful to take an inventory of all data relating to roadway design, construction, environment and monitoring. More than a literature review, this study of the state of the art assesses the situation in the French context to start with, followed by the European and international contexts, and of course is based on previous and ongoing projects and initiatives. 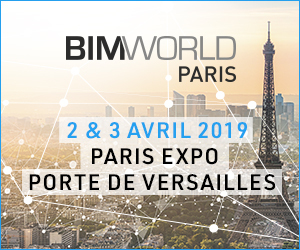 The use of BIM during the roadway lifecycle is an opportunity that forms part of the approach already taken for this theme through the ongoing implementation of a database and of GIS (Geographic Information Systems). Who are the actors across the lifecycle? 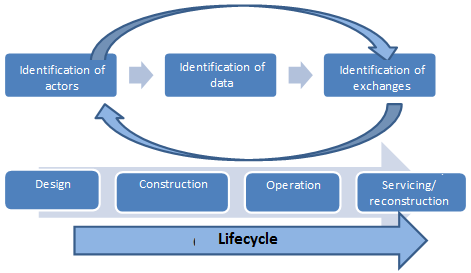 What are the useful, used data, .., across the lifecycle? When or during which project phases do the exchanges take place? What information is exchanged between the actors? An exhaustive model of the data associated with the roadway, integrated into the information model of a road infrastructure project, was produced for the various phases of the project. This model includes all road categories (highways, national primary and secondary roads, regional roads, urban roads), with the corresponding guidelines and standards, and covers both new and existing structures. A representation of the various viewpoints and items of information exchanged, and a model of the key processes are also offered. A road project may be subdivided into several interlocking elements. Each datum can then be associated with a unique object: the road networks (owner unit), the roads (political-administrative unit), the road sections (design unit – initial construction), the road segments (unit of behaviour or state), the lanes, the layers. The following breakdown was adopted for structuring roadway data. This approach therefore associates the notion of spatial subdivision with that of subdivision by object/component. It does not incorporate the notion of functional subdivision, which is only sensible and useful when we are looking at the network level, particularly where roads are being prioritised to manage their servicing. Finally, the model was formalised via a matrix with several entries, grouping together all the data, their allocation to the various objects and the flows of exchanges between the various actors during the different project phases.